The Airline Quality Rating (AQR) is the premier statistical study of major airline performance in the United States, objectively comparing airline quality. The Airline Quality Rating (AQR) is the most comprehensive study of performance and quality of the largest airlines in the United States. The rating is a multifactor examination of the airlines based on mishandled baggage, consumer complaints, on-time performance and involuntary denied boardings. The Airline Quality Rating industry score for 2018 shows an industry that improved in overall performance quality over the previous year. Six airlines (Delta, Hawaiian, JetBlue, Southwest, Spirit, and United) showed improvement in AQR scores in 2018. Spirit Airlines had the largest improvement in their AQR score in 2018. Three airlines (Alaska, American, and Frontier) all had a decline in their 2018 AQR score from the previous year. Frontier Airlines had the largest decline in their AQR score for 2018. The overall industry AQR score improved for 2018. Taking all 9 rated airlines together, the AQR score for the industry improved from a level of -0.79 in 2017 to -0.66 in 2018. The 2018 score is the best AQR score in the 29-year history of the rating. The industry AQR score has improved each year for the past four years (2015, 2016, 2017, 2018). Improved performance was seen in three of the four areas tracked. The industry mishandled baggage rate was better, decreasing from 2.46 per 1,000 passengers in 2017 to 2.43 per 1,000 passengers in 2018. Involuntary denied boardings by the industry improved to 0.14 per 10,000 passengers in 2018 from 0.34 per 10,000 passengers in 2017. The consumer complaint rate across the industry declined to 1.04 per 100,000 passengers in 2017 from 1.35 per 100,000 passengers in 2016. Of the 8,865 complaints registered with the DOT regarding all U.S. domestic carriers, 72% were for flight problems, baggage problems, reservation, ticketing and boarding issues, or customer service problems. The 23% decrease in the rate of consumer complaints in 2018 suggests that improved performance in areas important to consumers has been noticed by the flying public. As an industry, the AQR criteria show that on-time arrival percentage was down (80.2% in 2017 compared to 79.6% in 2018). The Airline Quality Rating (AQR) was developed and first announced in early 1991 as an objective method for assessing airline quality on combined multiple performance criteria. This current report, the Airline Quality Rating 2019, reflects monthly Airline Quality Rating scores for calendar year 2018. AQR scores for 2019 are based on 15 elements in four major areas that focus on airline performance aspects important to air travel consumers over the calendar year of 2018. The Airline Quality Rating 2019 is a summary of month-by-month quality ratings for U.S. airlines that are required to report performance by virtue of having at least 1% of domestic scheduled-service passenger revenue during 2018. Using the Airline Quality Rating system of weighted averages and monthly performance data in the areas of on-time arrivals, involuntary denied boardings, mishandled baggage, and a combination of 12 customer complaint categories, airlines’ comparative performance for the calendar year of 2018 is reported. This research monograph contains a brief summary of the AQR methodology, detailed data and charts that track comparative quality for domestic airline operations for the 12-month period of 2018, and industry results. Also, comparative Airline Quality Rating data for 2017 are included, where available, to provide historical perspective regarding performance quality in the industry. Dr. Bowen’s and Dr. Headley’s research on the development of the national Airline Quality Rating (AQR) is viewed by more than 75 million people each year. The AQR is featured annually by national news outlets such as ABC’s Good Morning America, The Cable News Network, The Today Show, C-Span, USA Today, The Associated Press, The Wall Street Journal, Aviation Week and Space Technology, the network evening news shows, and numerous other national and international media. Bowen and Headley have served as invited expert witnesses before the U.S. House of Representatives Committee on Government Operations and have served as invited speakers and panelists for groups such as the National Academy of Sciences/Transportation Research Board, Department of Transportation and other Congressional and Executive panels. Their research has been recognized with awards from the American Marketing Association, the American Institute of Aeronautics and Astronautics, the Travel and Transportation Research Association and others. 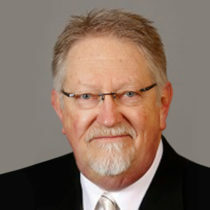 Dr. Brent D. Bowen is a professor of Aeronautical Science and former Dean of the College of Aviation at Embry-Riddle Aeronautical University in Prescott, Arizona. Previously, Dr. Bowen chaired the Department of Aviation Technology at Purdue University. Dr. Bowen attained his Doctorate in Aviation Sciences from Oklahoma State University and a Master of Business Administration degree from Oklahoma City University. His Federal Aviation Administration certifications include Airline Transport Pilot (Type-rated Douglas DC-3 SIC), Certified Flight Instructor (SEL, MEL, Instrument) with Gold Seal, Advanced-Instrument Ground Instructor, Aviation Safety Counselor, and Aerospace Education Counselor. Dr. Bowen has authored and co-authored numerous successful grant proposals totaling awards exceeding $25 million and has over 500 publications, papers and program appearances to his credit. His research interests focus on aviation applications of public productivity enhancement and marketing channels, specifically in the areas of service quality evaluation, benchmarking, safety, and security. Dr. Bowen is an active industry consultant, pilot, and former fixed-base operator and scheduled air carrier operator. He served on the National Research Council Steering Group on the Small Aircraft Transportation System and was named by the FAA Administrator to a National Academy of Science study group on airspace optimization as a component of the Next Generation Air Transportation System. Additionally, Dr. Bowen was appointed by the FAA Administrator to serve on a National Academy of Science panel to examine the need to cultivate a future generation of transportation leaders. Dr. Dean E. Headley is Emeritus Professor of Marketing in the Department of Marketing at the W. Frank Barton School of Business of Wichita State University. He holds a Doctorate in Marketing and Statistics from Oklahoma State University, a Master of Business Administration degree from Wichita State University, and a Master of Public Health Degree from the University of Oklahoma. 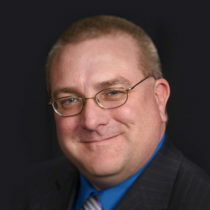 Dr. Headley’s research interests include methodology development for measurement of service quality, the connection between service quality and consumer behavior, consumer choice processes in service settings, and the effects of marketing activities on consumers and providers of services.